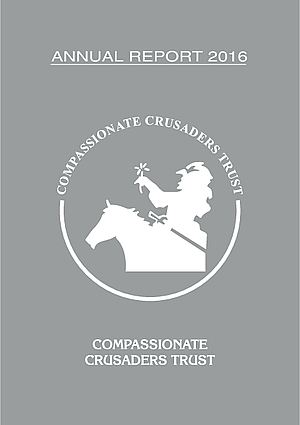 On behalf of our Patron and the Board of Trustees, I have the pleasure to present the Annual Report 2016 of the Compassionate Crusaders Trust. On 17th of November in 1993, we started on with loads of expectation on the compassion of the community at large and only Rs.1000/-, (yes, it is not a printing error!) Rupees One Thousand, in our kitty. Over the last 23 years, we must say, we are more than reassured by the support of kind souls like you that our crusade for a more compassionate society should move on…!